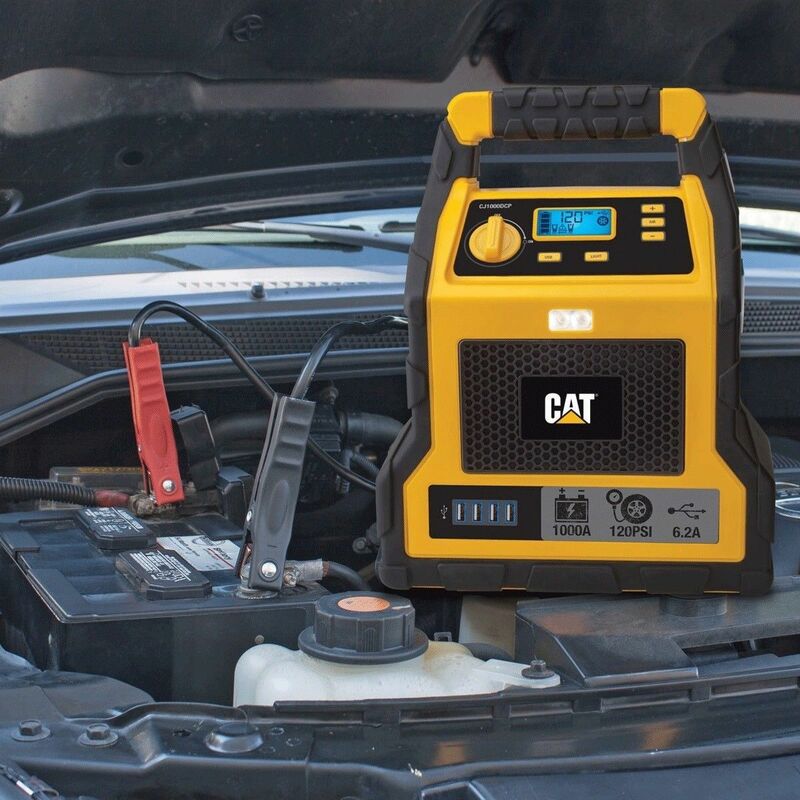 The CAT 1000 Peak Amp Professional Jump Starter is the ultimate source of portable power on the go. 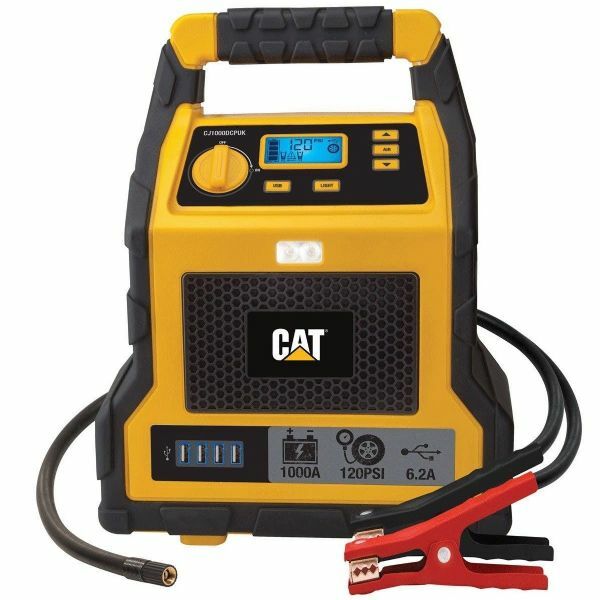 This professional grade jump starter features a 1000 peak amp jump starter able to jump start vehicles with engines up to 6.5L, a 120 PSI air compressor, Autostop™ functionality, an ultrabright 3 LED area light, a reverse polarity alarm and LCD digital readout screen, and 4 USB charging ports that can charge your personal electronics for up to 10 hours. 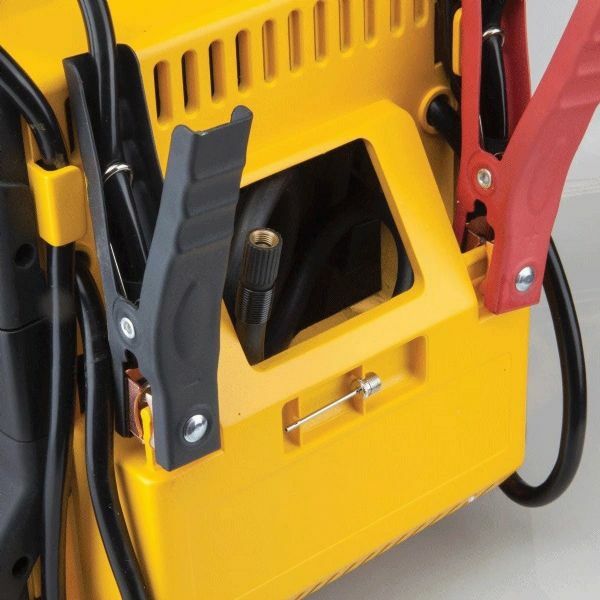 Furthermore, it also featues a heavy duty portable housing design that will not roll around in your vehicle. 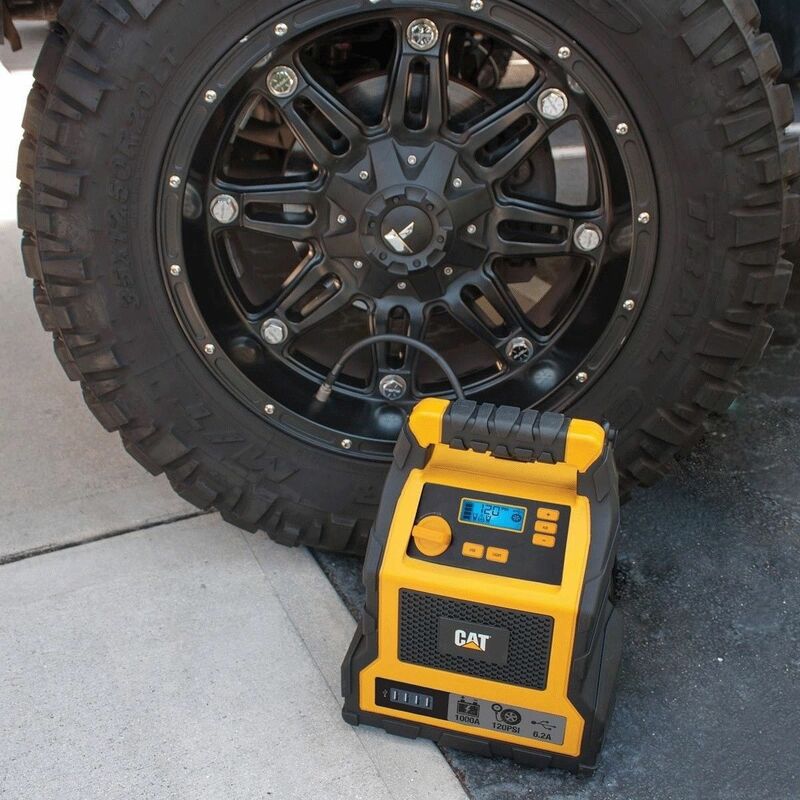 So no matter if you're heading to the beach, to a campsite or an outdoor event, you can rest easy knowing that you have the right tool for all your power needs. Furthermore, it comes with a 2 years manufacturer's guarantee if anything should go wrong. 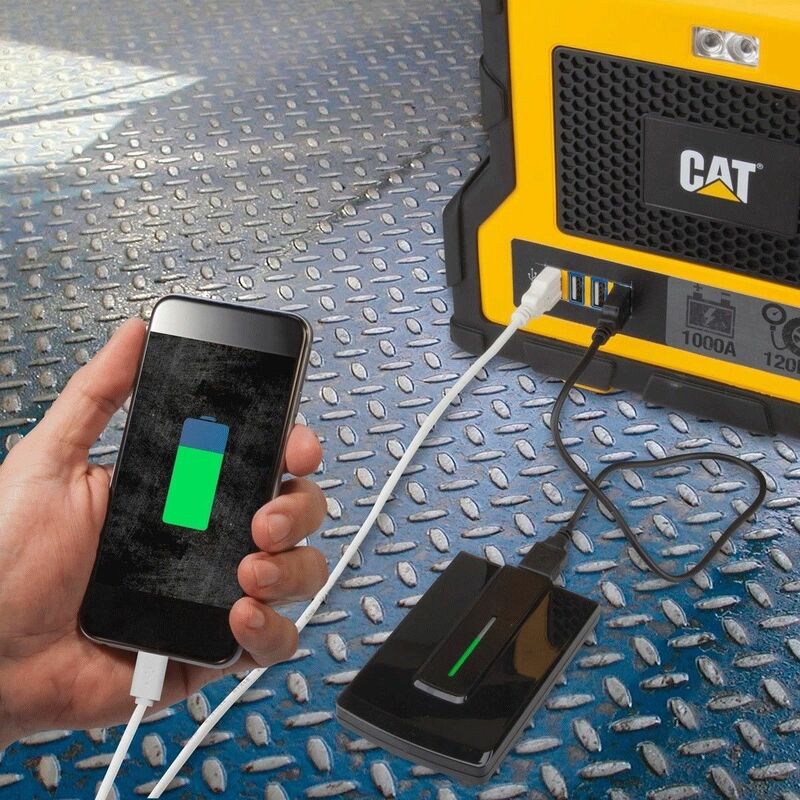 Note: We open these boxes before dispatch as we have reports of some units being supplied with a 2 pin European charger. If this is the case we make sure the correct UK 3 pin charger is included during dispatch.